Panache Condos, 880 Sq Ft of Living Space, Plus a 74 Sq Ft Balcony, South West Corner Unit, Unobstructed Panoramic Downtown and Midtown Toronto Views. 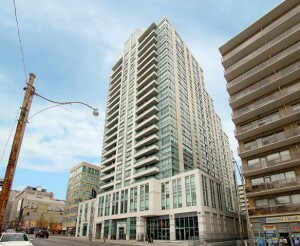 Steps to Yonge & Eglinton, Shopping, Restaurants, Cafe & Theatres. Public Transit at Your Doorstep. Stainless Steel Fridge, Stove, Built-In Dishwasher and Built-In Microwave. Ensuite Laundry (Stacked Washer/Dryer) Upgraded Granite Countertops with Under-Mounted Double Sink. One Parking Space Included. Features/Amenities: 24 Hr Concierge, Indoor Pool, Jacuzzi, Sunbathing Terrace, Barbequing Area, Guest Suites and a Party Room. $459,000 2 Bedrooms. 2 Bathrooms, with 1 Parking Space. >>Click here to contact me for a private viewing.